Choosing an amplification system for your classroom, meeting room or auditorium can present a confusing range of choices and different speaker options. The new Simeon 900AU FM soundfield system is a versatile ‘future-ready’ solution with 96 channels that will meet all of your amplification needs in a single convenient, easy-to-use package. 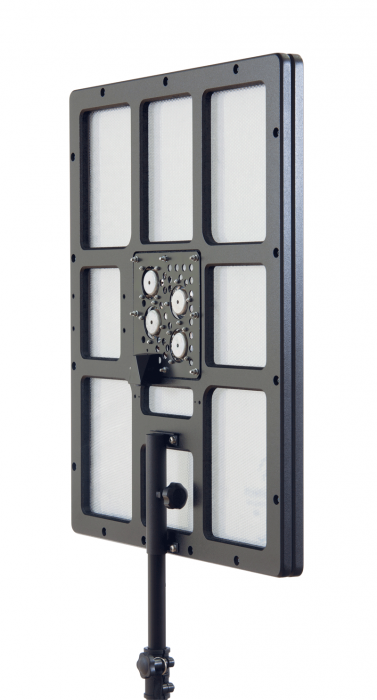 Key to this new system is the second-generation Omnipanel 900 flat panel loudspeaker. Weighing only 3kg, the new Omnipanel gives great acoustic performance and outstanding speech intelligibility in a smaller, more efficient format. 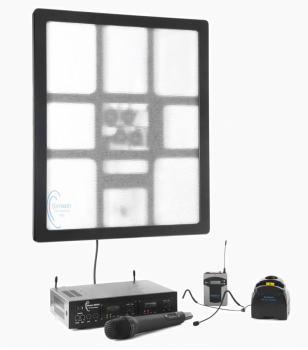 The flat panel speaker can be mounted almost anywhere, and to cover extra large spaces like an auditorium a second panel speaker can be added to the system. Simeon 900AU features a modular true-diversity FM receiver with 96 FM channels, ensuring the best possible signal quality at all times. The modular receiver design allows you to choose between a Solo version with one transmitter and a Duo version with two transmitters that can be used concurrently. mputers, iPods and other audio sources to take advantage of great Omnipanel speaker sound. In combination with Skype and other media applications Simeon 900AU is also a unique teleconferencing tool. Personal FMs and peripheral devices can be connected to the system to take full advantage of its audio hub features. 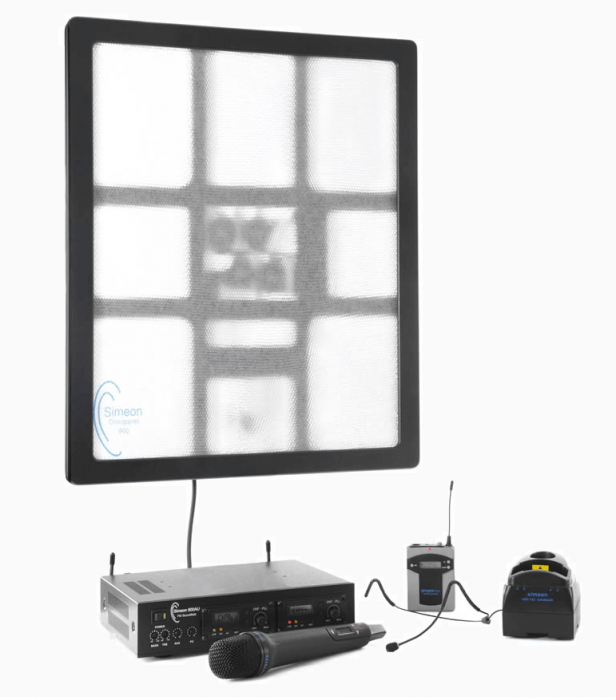 Simeon 900AU Duo features one Omnipanel 900, one receiver 900AU, and includes one pass-around transmitter/microphone and one body-worn transmitter and boom microphone Simeon 623 as standard.